I feel like a southern woman! I finally learned how to can and make preserves! 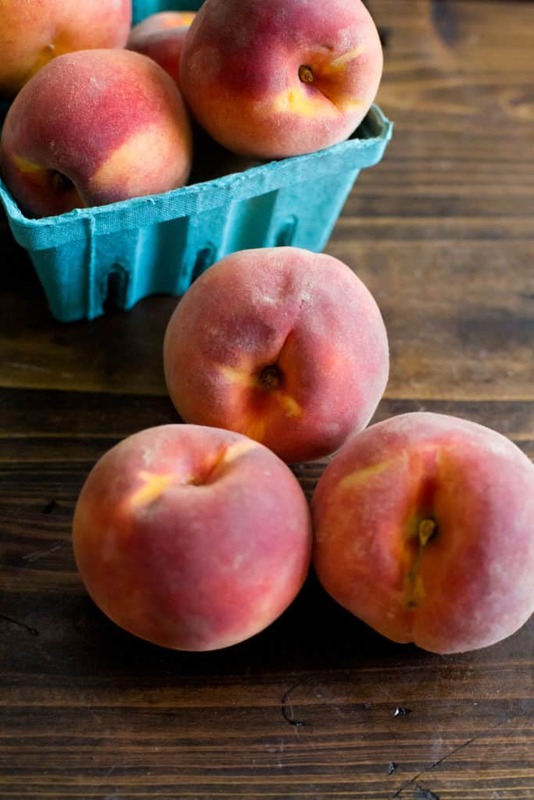 A few weekends ago, my mother was here and I had lots of freshly picked Georgia peaches that I had picked up from the farm. They were so ripe and sweet that I knew I couldn’t eat them all before they spoiled. SOOOO…I talked my mother into showing me how she makes preserves. 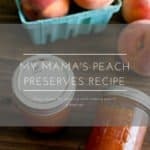 Specifically, I got her to show me how to make her peach preserves recipe. But anyway, the recipe is so easy that I decided that I had to share! 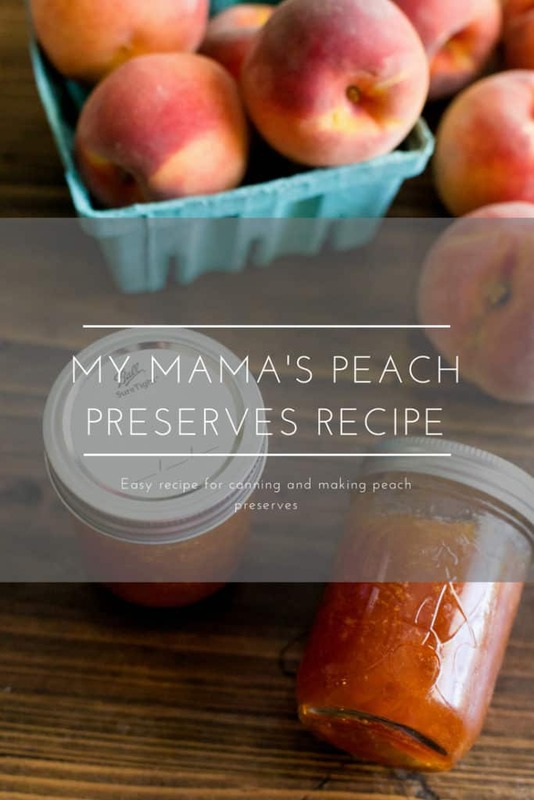 So just in case YOU wanted to learn how to make peach preserves, I have included my mom’s recipe ( with her permission of course) below. Soak in sugar overnight or until sugar becomes a liquid. Remove peaches and bring the mixture to a boil. Cook until liquid mixture thickens. Cook until the preserves reach the consistency needed. If you don’t have time to soak overnight, stir sugar and peaches together and bring to a boil and cook until the preserves reach the consistency needed. Simmer on low. 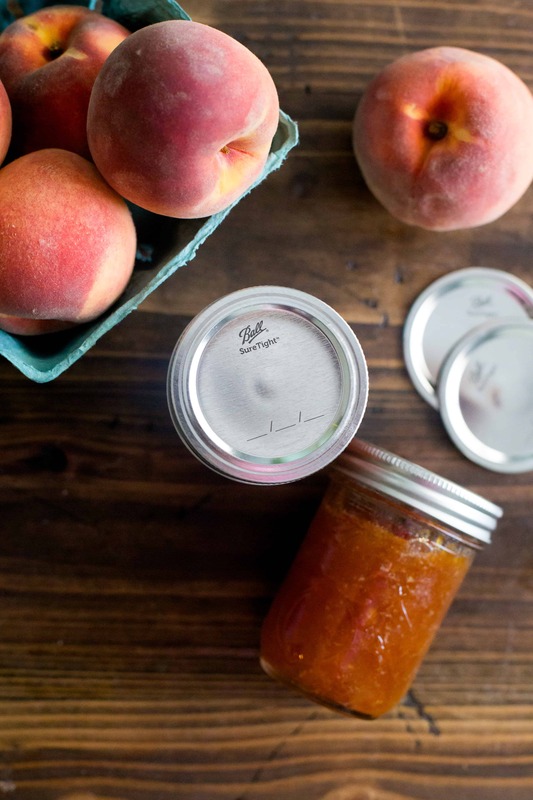 If you have no idea how to go about canning your jam or your preserves, check out these easy comprehensive Canning 101 instructions from Ball Canning. My mom basically uses the water bath canning method with a few variations of her own. So that’s it! Simple isn’t it! I’m already plotting what else I can make jams and preserves out of. Have you ever canned anything? 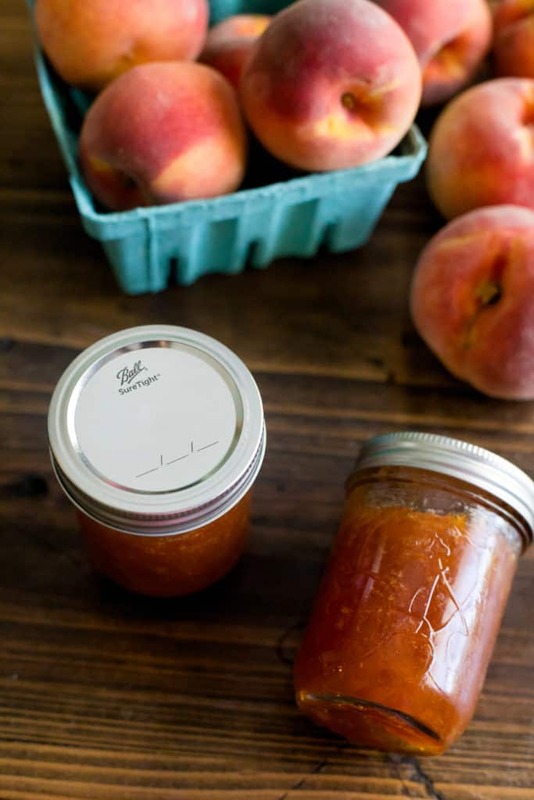 Do you have a family jam or preserve recipe?